Asphalt is one of the most recycled materials in the United States, and for good reason. Roads often need to be resurfaced, and in doing so old sections of the pavement layer must be removed. That is good news for you if you are planning on getting a new driveway or parking lot because that material can be recycled into asphalt millings that you can then use for your own paving projects. Asphalt milling is a process for recycling asphalt from a previously paved area, such as a road or parking lot. Specialized milling machines are used to remove a layer of pavement, pulling the material into large drums on the machines. This removed pavement is then taken to an asphalt plant where the material is recycled and ground into an aggregate size. The resulting products are asphalt millings that can be used for an abundance of paving projects, including parking lots and driveways. How Are Asphalt Millings Used? Asphalt millings can be used in a variety of pavement types, just like standard asphalt. The millings are spread over the driveway or parking lot area and compacted, leaving a smooth surface of recycled asphalt pavement that stands up well to the weight of the cars that will be driving on it. • Environmentally Friendly – Using this recycled asphalt means you are avoiding the creation of new asphalt, which is not biodegradable and which is made from non-renewable resources. Asphalt millings are less wasteful and better for the planet than standard asphalt. • Affordable – Using asphalt millings will save you money on your project as they are more cost-effective than standard asphalt. • Durable – Asphalt millings are capable of withstanding harsh weather conditions well, from long-term glaring sunlight to severe rainstorms and howling wind. Asphalt millings are the perfect material for many driveways and parking lots, helping both your pocket and the environment. 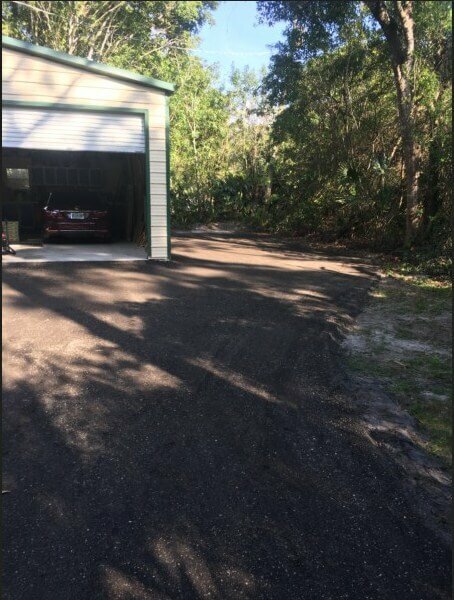 If you are looking for some help from a company that specializes in parking lot and driveway installation and resurfacing, Trinity Asphalt Paving company is only a call away. From Davie to Delray Beach, from Boca Raton to West Palm Beach, from our asphalt paving headquarters in West Palm Beach, Florida. Call (562) 889-2615 for a free quote on your project!